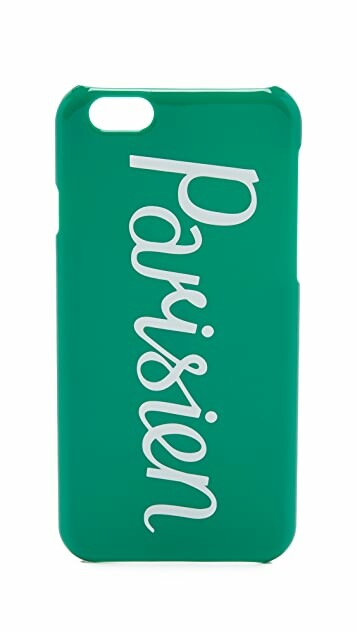 A hardshell Maison Kitsune iPhone case with the brand's 'Parisien' script. 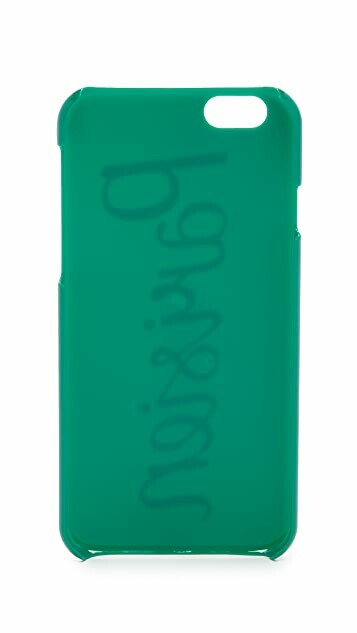 Snap-on design. Cut-away access to camera and ports.